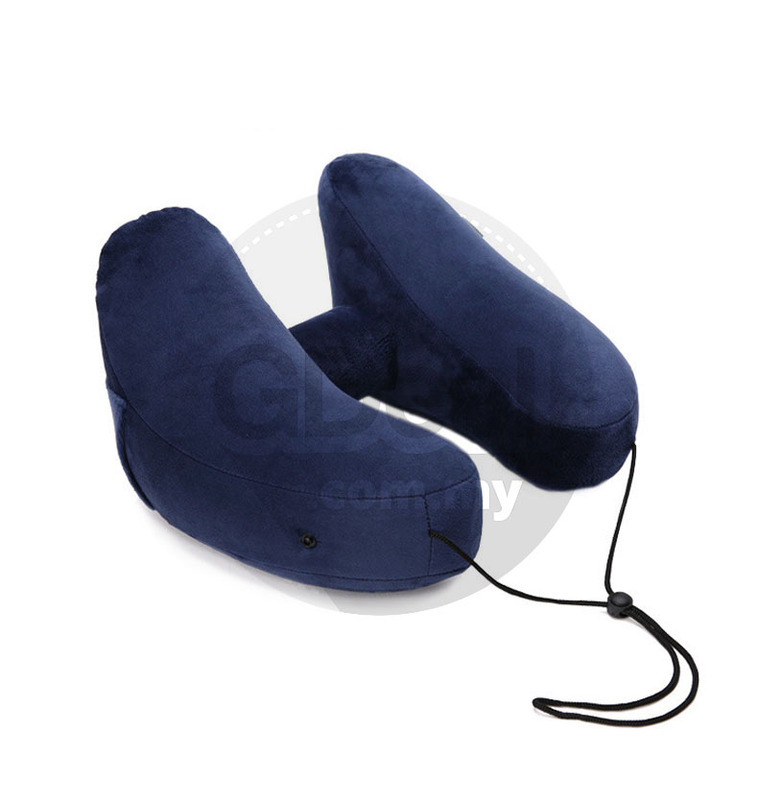 The inflatable travel pillow is very soft and the pump is well-designed and very durable. 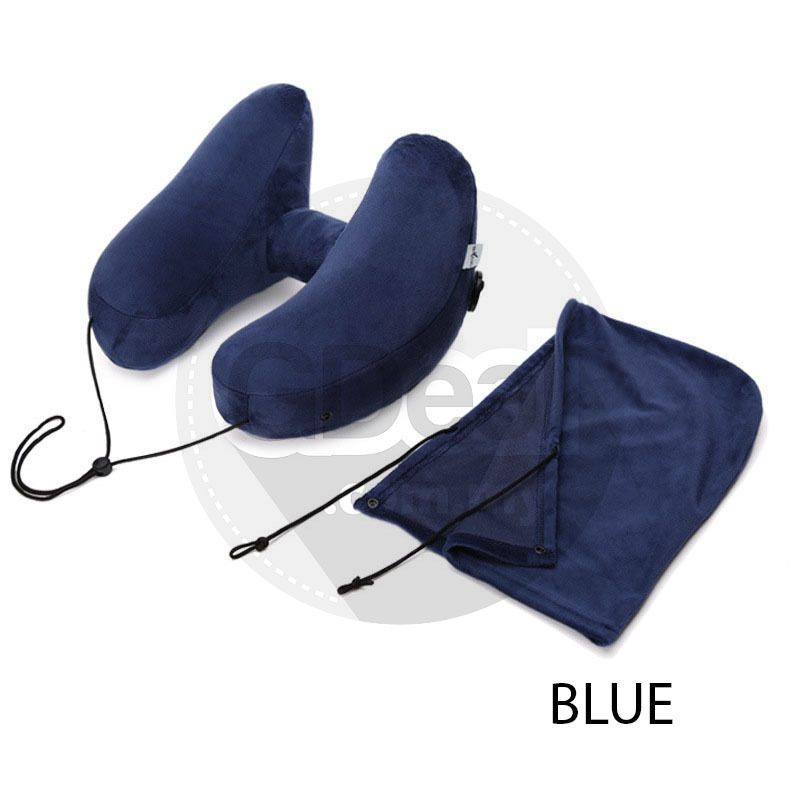 The storage bag is very helpful as a place to hold keys, wallet, passport, phone while you are getting your beauty sleep on the way over one of the world's great oceans, Flight travel neck pillow perfectly removes tension from your shoulders, neck and back. 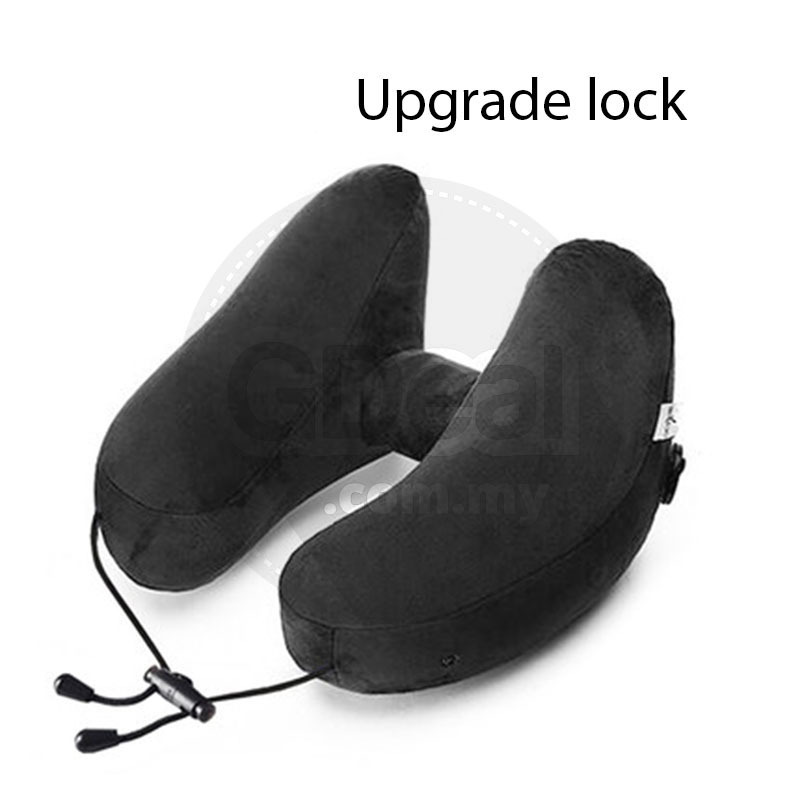 travel inflatable neck pillow does not contain chemicals, does not cause allergies, skin irritation or headaches. The outer cover of inflatable travel pillow is easily to remove and clean. The new unique valve system for the inflatable travel pillow that is easily inflated and deflated. 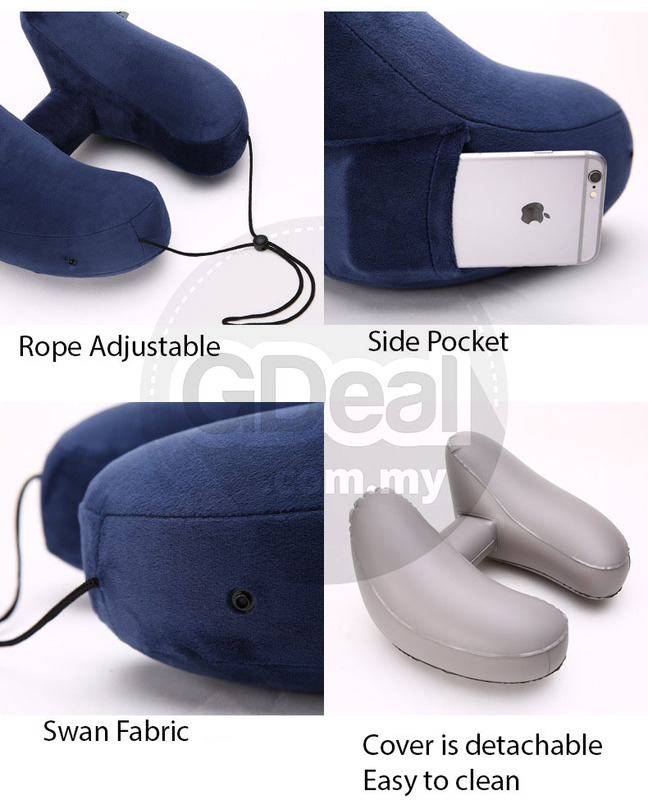 The super valve of inflatable neck pillow holds air very well without leakage while sleeping. 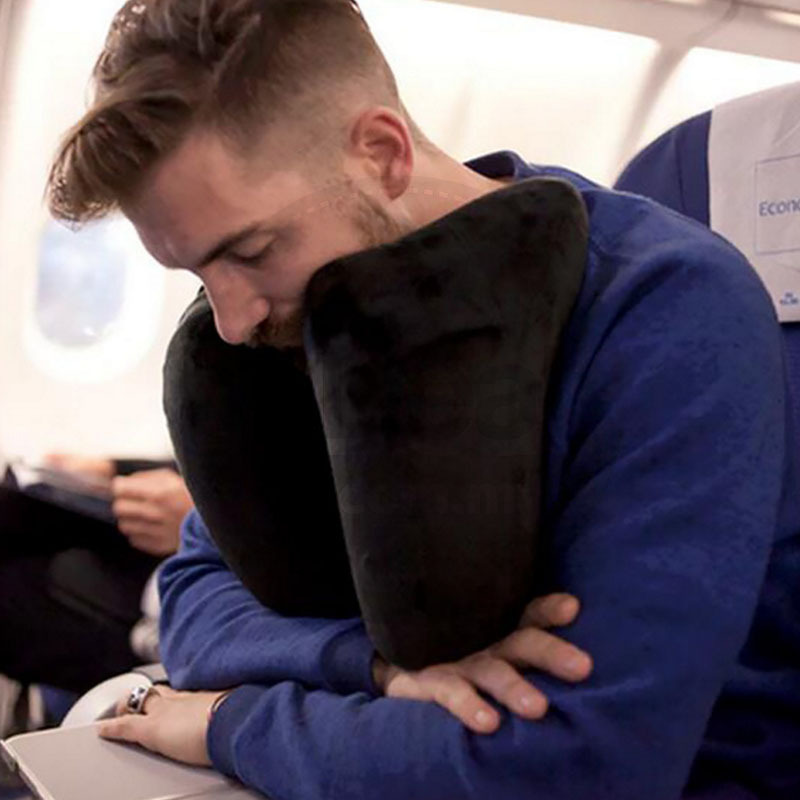 Flight travel pillow has a special ergonomic design that keeps your neck straight and your head in an upright position for a quality rest. 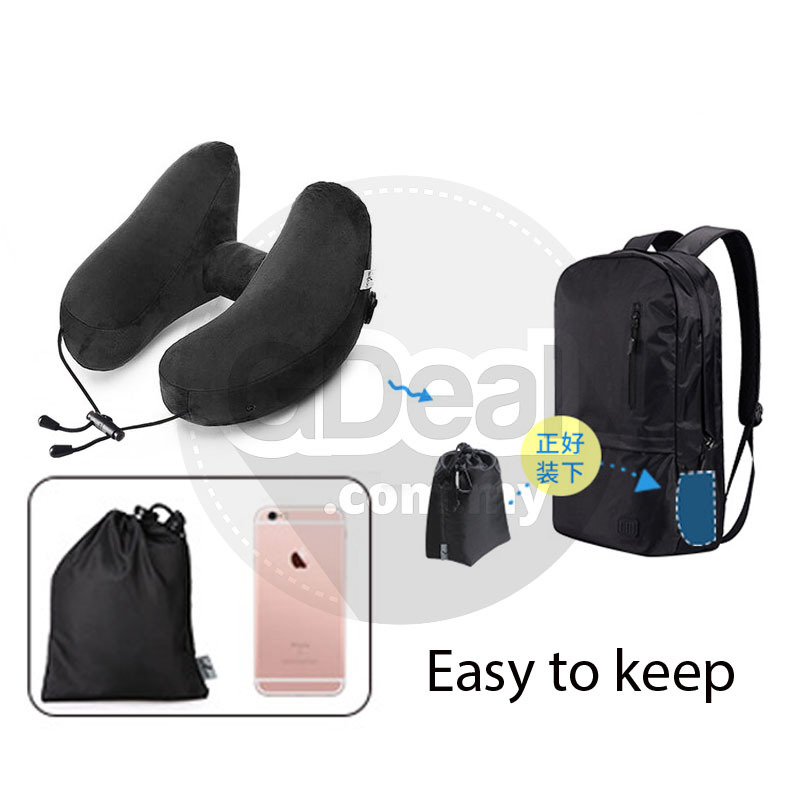 The inflatable travel pillow is very compact, the inflatable neck pillow easily folds into a special storage bag and the travel neck pillow does not take up much space. 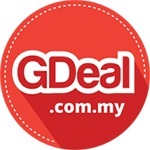 Kids travel pillow,suitable for age groups of 7 and over. Travel pillow with chin support is the perfect travel gift that provides a firm, comfortable and cozy travel experience. Unlike most travel pillows or bulky bead travel pillows, this convertible inflatable travel pillow offers ultimate comfort and the ability to compress into a small space. 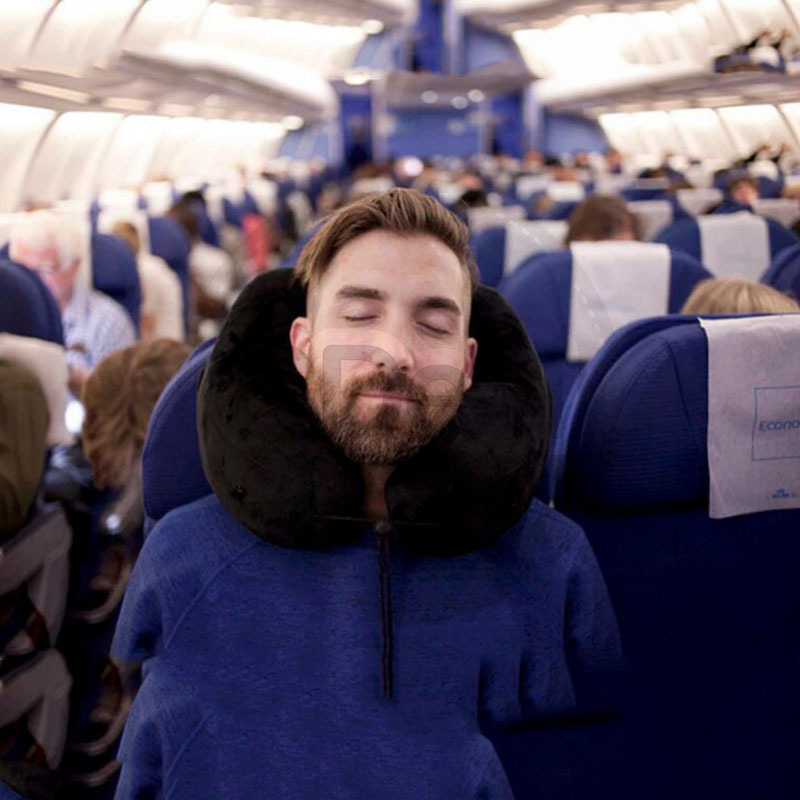 Travel pillow offers four sleeping positions that allow you to find sleep in any situation. 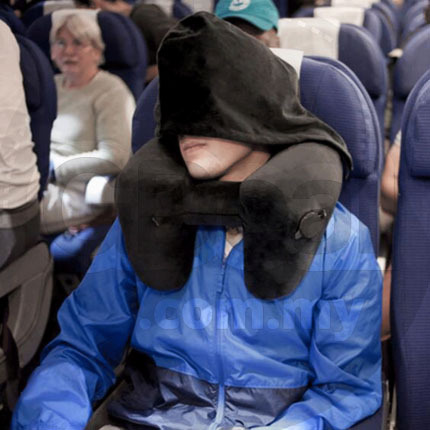 Premium neck support pillow with a hood that covers your eyes and head provides security and privacy while traveling. This is no ordinary blow up travel pillow, it comes with a fast inflate and deflate valve that allows the pillow to inflate within 2 seconds. 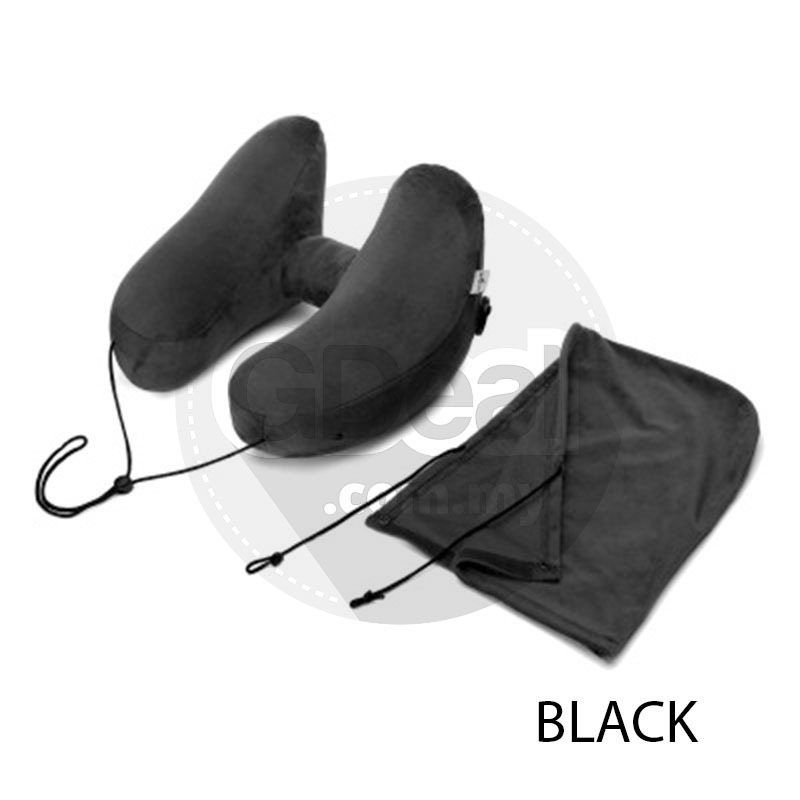 This unmatched travel pillow includes micro fleece cover provides protection and maximum comfort along with an easy machine washable experience. 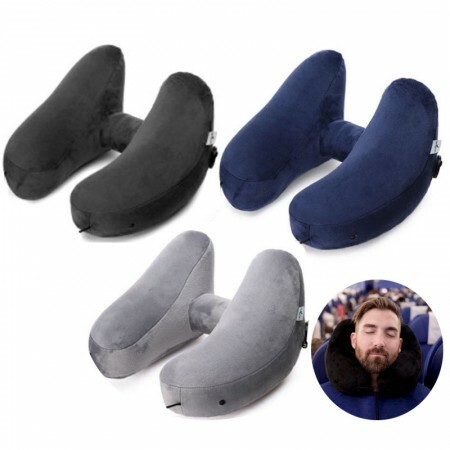 This air travel pillow is ideal for a luxury travel experience and makes an amazing gift, stocking stuffer and present for christmas, birthday or any holiday. Machine Washable materials to clean up drool, sweat, and that travel smell. Removable Hood allows you protection and privacy from annoying neighbors who like to chat way too much. Cell Phone Pocket provides an easy way to keep track of you precious phone during travel. 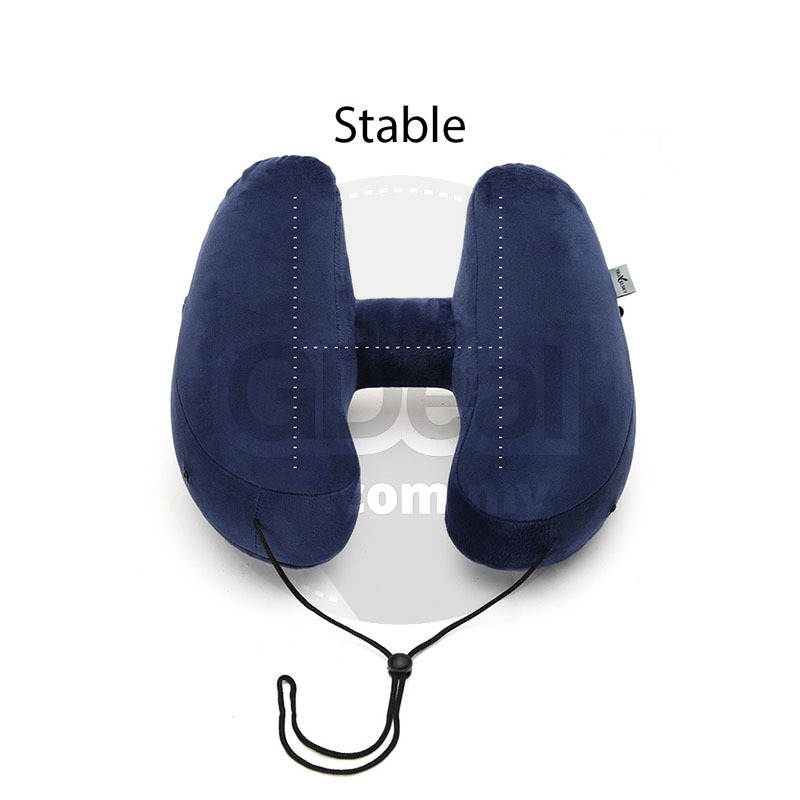 Adjustable Strings allows you to tighten the neck pillow to fit your body perfectly.